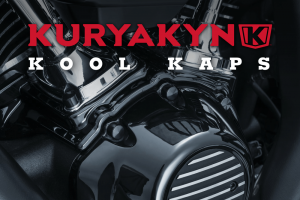 Kuryakyn, not content with their already gargantuan product line-up, have recently released the stylish new Heavy Industry range. The Heavy Industry line-up includes mirrors, grips, pegs and floorboards, all treated to a stripped back, industrial style. Most products are available in black, chrome or a combination of both. Suitable for a variety of styles, the Heavy Industry range is perfect for anyone looking for an understated yet aggressive look. To purchase locate a dealer in your area, or contact us for additional product information.